A team of researchers from the Institute of Physical and Mathematical Sciences and Information Technologies of Immanuel Kant Baltic Federal University (BFU) together with their colleagues from Gebze Technical University used the nuclear magnetic resonance method to detect toxic and flammable nitrogen-containing liquids. The article was published in the Chemical Physics journal. Physicists from Immanuel Kant Baltic Federal University together with their colleagues from Gebze Technical University (Turkey) suggested a new method for detecting explosives and toxic nitrogen-containing liquids based on the NMR relaxation method in a low magnetic field on nitrogen nuclei 14N. They also developed a protocol of measurements that can be used in security screening procedures. According to the scientists, traditional 1H NMR method cannot be used at a checkpoint because the equipment is too massive and expensive, and the analysis takes too long. The method based on studying 14N NMR relaxation signals (NMR relaxometry) provides for a different technical approach reducing installation and operation costs and speeding up analytical processes. Another advantage of the suggested approach is the analysis of 14N NMR relaxation signals which do not depend on the intermolecular interaction and only slightly depend on the concentration of the substance. "In this work we showed that 14N NMR is an efficient method for detecting large quantities of dangerous nitrogen-containing substances. 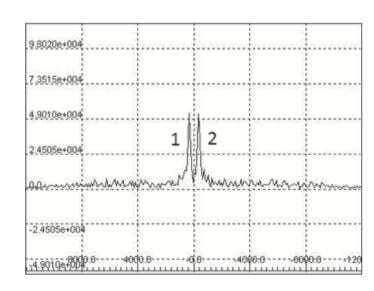 We solved a number of technical issues associated with low resonance frequency and broad NMR spectrum bands. We also succeeded in successfully detecting 14N NMR signals from different nitrogen-based substances and obtaining signal relaxation parameters. The majority of toxic and flammable liquids measured in our work are characterized by short relaxation times. This is how they can be separated from other relatively safe materials. An important advantage of the suggested NMR relaxometry method is the short time required to detect dangerous substances," says Professor Galina Kupriyanova, the author of the study, and doctor of physics and mathematics.